promote growth of other fields. 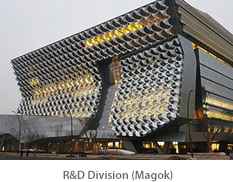 R&D Division creates new business area by applying new technology to current business area and expands practical technology to newly launched business area. 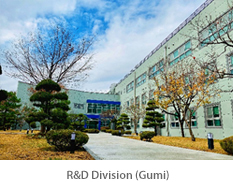 By creating constant future growth power and supplying advanced materials and technologies,R&D Division will play a core role in order for KOLON Industries, Inc. to make a vaulting jump to become Global Top Company of specialty chemicals and materials.